New book, 320 pages. Throughout time, violent battles and bloody clashes have changed the course of history and shaped nations or empires. Battles of annihilation are rare, but ever since antiquity a stunning victory on the battlefield, even if it has failed to win the war, has captured the imagination. 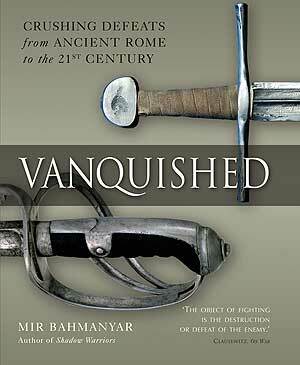 In this book Mir Bahmanyar examines battles of annihilation throughout history, some well known, others less so, but all equally extraordinary, to discover what sets these engagements apart, whether they achieve a decisive strategic advantage in war, and why there are fewer battles of annihilation in modern times. Contents: Introduction, Cannae, 216 BC, Zama, 202 BC, The Teutoburger Forest, 9 AD, Adrianople, 378, Pliska, 811, Hattin, 1187, Nordlingen, 1634, Jena-Auerstedt, 1806, The Alamo, 1836, Jugdulluck, 1842, Camerone, 1863, Little Big Horn, 1876, Isandlwana, 1879, Operation Dingo, 1976, Grozny, 1994, Qala-i-Jangi, 2001, Conclusion, Bibliography, Index.